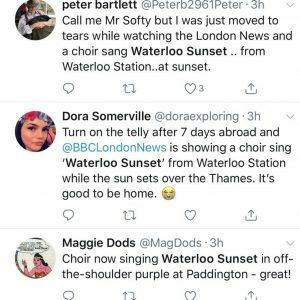 I was just moved to tears while watching the London news and a choir sang Waterloo Sunset from Waterloo Station… at sunset. 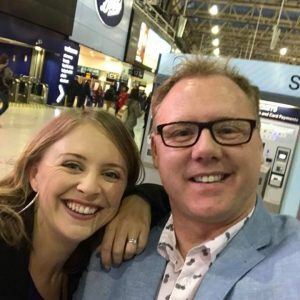 James Hawkins was commissioned to create a new arrangement and recording of the famous song for BBC Music Day 2018. 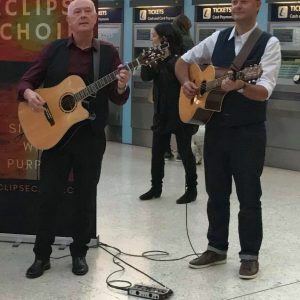 The recording features his own Eclipse Choir, and the talented Seventh Avenue Singers, graduates of Teddington School. 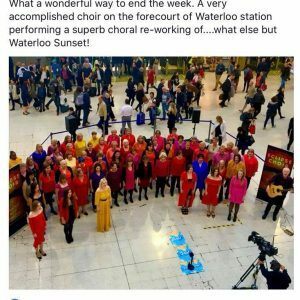 The BBC then filmed the choir singing Waterloo Sunset live at Waterloo Station at sunset on a Friday night, with all the rush of commuters around us. 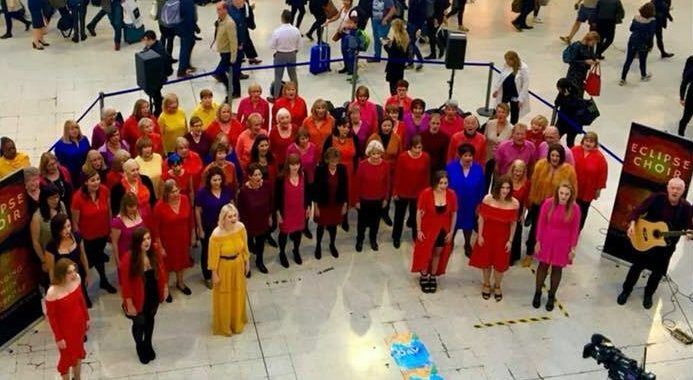 It was billed as a very special performance and the choir was thrilled to take part. Our version of Waterloo Sunset is available to buy! 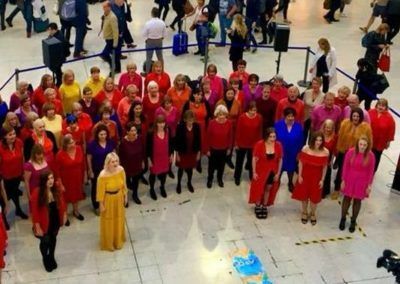 Please get in touch if you have opportunities for the Missing People Choir, or if you’re interested in using music to help your organisation or group. And you’re welcome to post your comments below too!